Yamashita will receive a gold medal in the Fiction category for her novel I Hotel at a public awards ceremony to be held in San Francisco on June 2. The California Book Awards were established by The Commonwealth Club in 1931 to honor "the exceptional literary merit of California writers” whose works were published in the previous year. Past winners have included such authors as John Steinbeck, Wallace Stegner, Diane Johnson, Ray Bradbury, T.C. Boyle, Amy Tan, and Michael Chabon. Last year, Yamashita was also nominated for a 2010 National Book Award for I Hotel, her 600-page epic novel published by the independent Coffee House Press—she was one of five finalists in the Fiction category. 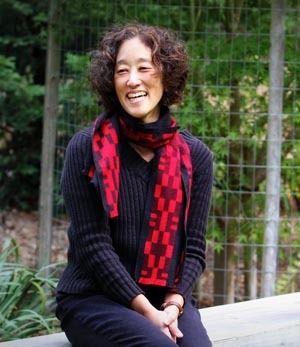 Yamashita is the author of four previous books, including Through the Arc of the Rain Forest (1990), which received the American Book Award, and Brazil-Maru, named by the Village Voice as one of the 25 best books of 1992. Her third novel, Tropic of Orange (1997), was a finalist for the Paterson Fiction Prize, and she followed that with Circle K Cycles (2001), a book based on her research on the Brazilian community in Japan. Yamashita received the Chancellor’s Award for Diversity at UC Santa Cruz in 2009.